With 302 million monthly active users, Twitter still has plenty to offer small businesses. It’s a great tool for promoting awareness, driving traffic to your site, generating sales, engaging with customers and building your brand personality. Of course, as with any social media platform, in order to be successful you need to be following best practice and have set yourself clear goals. Otherwise you could be investing valuable time and effort with little to show in return. Twitter can successfully work as part of a wider integrated marketing strategy. According to small business research, 60% of respondents have purchased from small and medium businesses because of Twitter. But to be successful it is important that you define and prioritise your goals. If you’re busily tweeting away with no clear sense of purpose the benefits are unlikely to match the time and effort you may be putting in. Increase engagement amongst target audience. Grow awareness of your brand. Drive traffic to your site. The clearer your are about what it is you want to achieve the more focused you can be in your approach to your Twitter activities. We’ve put together some easy to implement best practice tips to help you make the most of your Twitter presence. If you’re not already using Twitter then getting off to a good start is important. Once you’ve signed up you’ll need to create your username (also known as your Twitter handle). For example ours is @shopintegrator. Then you’ll create a profile bio, add a profile pic – these should succinctly reflect your business. Next its time to start looking for the right people to follow – which of course will be dependent upon the industry and business you are in. Check out Twitter’s own business resource Twitter For Business. You’ll find plenty of useful advice to get you off to a confident start. Include the Twitter ‘Follow Us’ button on your website. Tweet regularly but ensure it is something worth sharing. Keep your brand’s personality and voice consistent in your Tweets. Don’t make it all about you. Share links and retweet anything that will be of interest to your followers. Don’t use up all your 140 characters. You’ll want to leave enough room for people retweet. Use hashtags but don’t go mad. One or two per tweet is probably about right. Recycle your best tweets with some re-wording. Research shows that a repeated tweet can get as much as 86% performance as the original tweet. As visual content becomes increasingly important within social media, try to include more images and photos in your Tweets. According to HubSpot, Tweets with images receive 18% more clicks, 89% more favorites and 150% more retweets – so it’s definitely one to think about. Remember though, when you are posting images they count as a link and so will automatically use up 22 characters. Keep your tweets extra concise to allow for re-tweeting. Videos are also a great way to capture and engage an audience. Since January this year iPhone and Android Twitter users can actually capture, edit and share videos of up to 30 seconds duration on Twitter. Links to your blog articles. Latest industry news and titbits. Behind the scenes peeks at your business photos. Start conversations by posing questions. Central to your Twitter success is building a genuine rapport with your followers. Try using Twitter’s 80/20 ratio. Don’t just bombard your followers with tweets that push your businesses products and services. 80% of your tweets should be sharing links, retweeting and joining conversations. You are trying to show the person behind your business so always take a friendly and positive approach to your interactions. At a glance 28 day summary: Tweets sent, profile visit, mentions, new followers, top tweet, top mention and top followers. Tweets: Impressions, engagement, retweets, replies and link clicks. Follower insights. Interests, location, gender and who your followers are following. Digging a bit deeper into how you are performing and getting to know who is following you will enable you to better focus your Twitter efforts. Following best practice and implementing even just some of the tips we’ve talked about will help your business get more out of Twitter. We’d love to hear your own thoughts and experiences on Twitter so please do leave a comment. Setting up a business these days does not require nearly as much legwork as it did just five years ago. 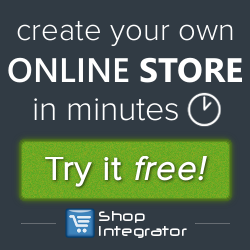 Even a blog or a plain website can be transformed into a full blown commercial site, capable of handling e-commerce transactions with a simple shopping cart plugin like ShopIntegrator. However, that’s the easy part. To a layman payment happens in either cash or on-cash modes. In cash payments mode, you need to have physical outlets that can collect payments before releasing the items purchased. In a non-cash system, users swipe credit or debit cards on your site to transfer cash from their bank accounts to yours. Alternately, they pay via a service like PayPal where no cash changes hands, no cards are swiped, instead the user’s bank account is charged for a product they bought and transferred into PayPal’s account. Till the product gets delivered to the buyer, the amount does not get transferred to your bank account. By and large, e-commerce stores in the developed world, only accept non-cash payments. Even after you pick your e-commerce template or shopping cart plugin, you still need to make one final choice before the money can start rolling in – choosing your payments processor. Here we shall go a little further in depth on how to pick the perfect payment processing service for your new store. A non-cash payment online requires three basic entities to be processed. The payment gateway is like a fact checker that sits between your site and the customer. It verifies the authenticity of a user’s payment method and allows the transaction to proceed. The payment processor does the actual transfer of money from the user’s account into the merchant account. 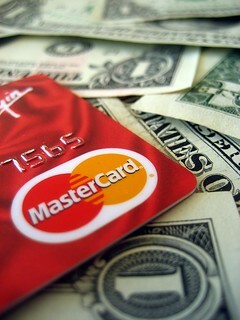 The merchant account holds cash that is transferred from the user’s account before it is moved into your bank account. Typically, payment processors and merchant accounts come bundled together, while payment gateways are separate. However, lately there has been the emergence of three-in-one accounts that bundle all three entities into a single consolidated service. Services like Stripe or PayPal are examples of consolidated payment services. However, this convenience comes at a cost. These consolidated payment services typically charge the merchant a much higher per transaction fee, which can add up to a lot once you outgrow your startup status and start having some real good transaction volumes. Once your business starts growing bigger and bigger in terms of revenues and transaction volume, it makes financial sense to switch to having your own merchant account and payment processor combination separate from the payment gateway. So you decided to go the route of a separate payment processor and merchant account to save some much needed extra cash. But what do you look for in a good payment processor before you make the final call? Here are the key factors that you ought to consider. With the spate of data breaches that online retailers have suffered in the last couple of years, your number one concern while picking a payment processor has to be security. a. Data encryption is a basic must have for a payment processor, where user data is encrypted into uncrackable codes before it is transferred from one party to the other. b. PCI Standards compliance or Payment Card Industry Security Standards compliance is a must have to be able to compete effectively in the modern e-commerce space. c. Verisign SSL certificate tells you that the payment processor offers your users SSL security for payment transactions. In other words, payments sent over an SSL connection are doubly secure than regular connections. d. Address Verification – Payment processors ask for billing address for a credit or debit card from a user to verify it against the actual billing address listed against said card. This minimizes the risk of fraudulent transactions and protects user data. e. CVV2 verification refers to the three digits that appear alongside the signature panel at the back of a credit or debit card. Asking for this number ensures that the user actually has physically with him / her and is not misusing a credit card number found accidentally on a credit card statement or other such correspondence. f. Reputation – Finally, check for the reputation of a payment processor before you commit to one. A quick online search with keywords like ‘data breach’ or ‘security lapse’ accompanied by the payment processor’s name will give you a wealth of information about whichever processor you may be considering. When a user is mid-transaction on your website, even a small hitch in payments or page load time or even unexpected shipping charges is enough to scare them away into abandoning the cart altogether. Hence, the best e-commerce sites seek to minimize friction in a user’s experience, especially in the checkout stage. Having a payment processor that handles the transaction as smoothly as possible plays a huge role in ensuring that the user experience remains exemplary. a. Onsite vs. offsite processing – When payment data is collected and processed in a single flow without the user ever having to leave your website, you have onsite seamless processing. While this may be great from a UX perspective, it puts the liability of data security, firewalls and more squarely on your shoulders. The other option is offsite processing, where the user is taken to the payment processor’s site and any financial data is handled directly by the payment processor, thus vastly reducing liability on you as a website owner. The other benefit of offsite processing is the fact that users are usually familiar with processing companies like PayPal and trust them implicitly. So even if you are a new startup, by offering processors that are reputed and trusted, you earn some of that user faith by association. Incidentally, ShopIntegrator offers offsite processing to ensure peace of mind for all its users. b. Analytics – Many payment processors offer customer data to the websites that they service. Detailed analytics like purchase frequency, average order value and more can be available without you running a single report in your own analytics software. An added bonus that verifies your numbers is always welcome. c. Multiple cards supported – Look out for processors that can support multiple types of cards and payment modes. A potential customer who does not see his preferred payment mode supported is bound to drop off your site leading to a lost opportunity. Check whether your payment processor covers the entire gamut from Visa, MasterCard, American Express, Discover, Diner’s Club to digital wallets like PayPal. d. Mobile Payments Supported – With more users now accessing the internet via their mobile phones than PCs, it is imperative that your payment processor support mobile payments. Top e-commerce sites in emerging markets like India have over 50% of their total transactions coming from mobile platforms. The growing popularity of Apple Pay and consequently the renewed focus on Google Wallet and other mobile wallets like Venmo, make mobile payments support even more critical. a. Setup Fees – Usually a one-time fee at the time of registration. b. Variable Fees – These are fees that depend on the transaction volumes on your site as well as the types of services you opt for from the processor, e.g. per transaction fees, authorization fees, address verification fees, and more. c. Recurring monthly / annual fees – Recurring monthly or annual fees are levied when you’re not charged a per transaction fee. This works well for larger e-commerce sites where the transaction volume is high and a per-transaction fee would not be cost effective. d. Extras – These are fees that pop up, often unexpectedly. They’re rarely advertised on a payment processor’s website, usually finding their home in the fine print of some contract that you click ‘I agree’ on. Make sure you check upfront with your payment processor about these very specifically, as many processors attempt to make a quick buck out of these vague fees like cancellation fees for transactions that were cancelled by a customer. When a user’s details entered during the transaction do not match their real details, a transaction can be labelled ‘disqualified’ and your site gets charged an ‘unqualified transaction fee’. The USP of having an e-commerce business is having the ability to sell to any one, located anywhere in the world. Most leading payment processors like FirstData, PayPal and Stripe tend to offer support for multiple currency types. This ensures that your user does not have to face the complication of currency conversions at the time of payment, leading to a lower chance of cart abandonment. However, multi-currency support comes at a price. Many processors (not all) charge a currency conversion fee for cross border transactions. But offering multiple currencies on your site has more upsides to it than downsides. Multiple currency support means your site can even cater to visiting foreigners who might only have credit cards in their home currency. Moreover, the fact that your site already supports multiple currencies makes it easier for you to officially make a foray into new countries, opening up new avenues for your business and its revenue generating potential. Always a great thing to have! You might think I’m being repetitive here, but I’m actually not. While people can pay with multiple currencies while still within the geographical boundaries of your home country, having multi-country support is a completely different ballgame. Most payment processors allow users to pay from different geographical locations as long as they pay in just a handful of supported currencies. While having limited currency support can be a limiting factor, not having multi-country support means your loyal customers can’t use your services anymore if they decide to travel or move away from home base. Is your payment processor compatible with your e-commerce platform? However awesome a payment processor maybe, if their technology does not match up to that of your platform’s there’s not much you can do about it. Since both payment processing and overall design, layout and functionality are key factors that affect the success of any e-commerce site, it makes sense to first do your research about all the various e-commerce platforms you like and match them up against the payment processors that these can work with, before you make the big decision of building your site with any one platform. I’m going to make your life easier by offering you a handy peek at the various payment processors that ShopIntegrator works with, just in case you’re shopping around for a reliable and functional e-commerce platform! So you’ve finally narrowed down your payment processors to a handful. These are not too expensive, are secure, are easy to use, are compatible with your e-commerce platform and more. You’re all set, right? Wrong. Even if a payment processor ticks off all the boxes in the list above, it still needs to fulfill one critical condition – whether it supports your business or not. Confused? Allow me to explain. Many e-commerce sites deal with products that may or may not be endorsed by all payment processors for various factors ranging from moral reasons, to health reasons, to riskiness of the venture. If your e-commerce site sells items like tobacco, arms and ammunitions, adult toys or content etc. there is a good chance that you may either get rejected by the payment processor you approach or may be stuck paying much higher fees than businesses that operate in less ‘risky’ sectors. Just as your users expect great customer service from you, you have a right to receive professional customer service from your payment processor. Check whether the processor you’ve shortlisted offers round the clock customer service. What languages do they offer support in? Are they at least available during the time the majority of your users are online? How proactive are they at fixing potential problems? Do they need to be chased continuously and hounded down for basic troubleshooting services? All these are legitimate questions that you ought to have answers to before making such a large commitment. Remember, a failure on the payment processor’s part can result in a negative user experience for your own customer, usually for no fault of yours at all. You don’t want to lose customers or be constantly on the backfoot with a payment processor who is highly unreliable. As before, you can either Google this info or visit forums that offer inside news about individual payment processor. Better still, if you personally know someone who has used their services in the past, it’s a good idea to pick their brains before embarking on a partnership with a new payment processor. These pieces of advice are just an aggregation of my personal knowledge about the payment processing industry, its players and their relationships with their merchant partners. By no means is this an exhaustive list. However, it does give you an idea of what to expect once the deed is done. Choosing a payment processor is like choosing a spouse – preferably a once in a lifetime event that has a whole lot riding on it. Don’t hurry this decision. Weigh all your options carefully and then go with what makes most sense taking all possible aspects into consideration. How to get more from Pinterest with 5 great tips for small businesses. The last few years have seen our fascination with all things visual significantly grow. We can see this reflected in the rise of visual platforms like Pinterest and Instagram who steadily continue to gain social media market share. With this in mind we take a closer look at Pinterest and how small businesses can make more of their presence. Pinterest can be described as a visual online scrapbook. 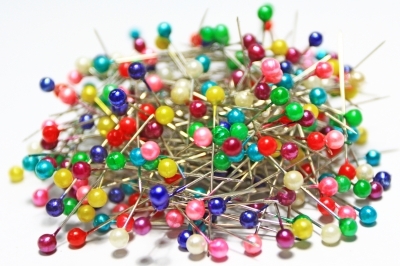 Users create and share images they find interesting (called pins); organising them into collections called boards. With over 70 million registered users and 3472 images pinned every minute, Pinterest can be an excellent social media platform for small businesses. Pins usually link back to the website they originated so it can be a great way for you to share your content and drive traffic. Before you launch headlong into Pinterest take a step back and think about your objectives, your audience and the kind of presence you’d like to have. Familiarise yourself with Pinterest by exploring what other businesses, both in and out of your industry, are doing to maximise their presence. For inspiration checkout some of the examples Pinterest showcases. Once you’ve created your business account and verified your website you can set up your profile. Use a recognisable image such as your logo and a clear and interesting description of your brand and what it aspires to. You can then start planning your boards. Categorise your boards into subject areas – be creative and think of relevant, inspiring subjects that will be off interest to your target audience. If you’re a bit stuck for ideas then an easy board for businesses to start with is a blog board. If you have a blog then you have ready-made, shareable content that links back to your site. Then it’s all about making the most of your Pins. Add the Pin-it button to your website to make it easy for people to pin content from your website. Every time you create a pin include a useful description of what you are pinning and a link back to where it originates. 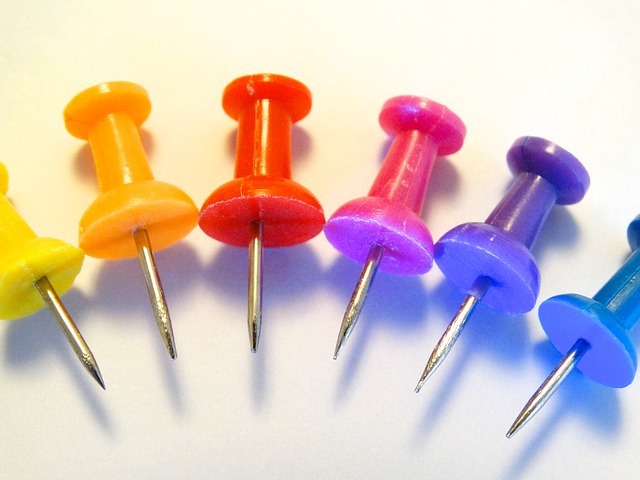 Where appropriate think about using Rich Pins such as Product Pins. These allows you to add in more useful information such as where to purchase (for example your website), real-time pricing and availability. These details will stay on the pin even when it is repined. 2 million Pinterest users save product pins to their boards daily so it’s worth doing. Make the most of the advice Pinterest offers businesses. It has some excellent case studies, blog articles and How to guides. All of which are great resources to get you off to a flying start. Pinterest is all about the visual. So try to use colourful, interesting and inspiring images as much as possible. Avoid seen before, run-of the mill stock photos. There are plenty of websites available for you to source interesting images without breaking the bank. For example, Shutterstock, iStockphoto, FreeDigitalPhotos.net and Dreamstime all offer excellent images at reasonable prices. Free images are also available but do check that they are in the public domain and cleared for commercial use as many free images will need an attribution. Pixabay is a great source of free images that are in the public domain and don’t require an attribution. Try using original photography. This is a great way to showcase your products in interesting, real life situations. It will have a greater impact than bog-standard product shots. Use quality images with a high-resolution. Vertical images work better on mobile screens. Remember 75% of Pinterest usage takes place on mobile devices so it’s worth bearing in mind when you are composing your pins. Keep to a maximum of 4 images in any one pin. Don’t forget about video. With 8333 videos shared every minute across social media, video is a great way to encourage sharing. Pinning a video is simple. For example if you’ve uploaded your video on YouTube, go to Share and use the ‘Pin It’ button to share it on one of your Pinterest boards. Remember to include an eye-catching image and a relevant description. Of course these are just a few ideas – once you start pinning regularly you’ll find all sorts of ways to create engaging content. As with all social media, active participation is important. The more of you put in the more you are going to get out of it. With Pinterest you are trying to connect with your audience through their interests and lifestyle. Be active by pinning regularly. Pinterest suggest trying to Pin once a day. Repin, like and comment on interesting pins – especially those that are relevant to your industry and likely to be of interest to your audience. Be friendly and welcoming it is your opportunity to bring personality to your brand. To get the most from any social media platform you need to be an active participant, this of course takes up valuable time. Therefore it makes sense that the better idea you have of your Pinterest performance, the smarter you can be in channelling your time and effort into the right places. Use Pinterest’s analytics tool to get a better picture of what content is working for you and what content is having little impact. Pin performance: Identify your tops pins. Which have the most impressions, repins and click-throughs? Which of your boards are the most popular? Your audience. Who is looking at your pins and who has actively liked, repined or click-through a pin. It will give you an overview of your audience’s demographics, who they follow and their interests. Website content. If you’ve verified your website you can see how the content of your website is performing on Pinterest – these are all the pins that link back to your site. For more information take a look at Pinterest Analytics guide. These are just a few tips to help you optimise your presence on Pinterest. As we mentioned earlier in the article don’t forget to check out some of the resources Pinterest offers small businesses – there is plenty of help and advice to get you off to a great start. Finally, don’t forget to support and promote your Pinterest activity on all your other social media platforms and in email communications. A coherent, integrated approach to all your marketing channels will produce the best results. We’d love to hear your thoughts and experience of using Pinterest, so please do leave a comment. A visit to a Disney theme park – any one of them around the world – is one of those long cherished childhood dreams that nearly every kid who know Mickey Mouse has harbored. Why kids, I know a lot of adults who still look forward with bated breath to a trip to the ‘happiest place on earth’. A big part of the magic of Disney’s theme parks comes from the magic of their movies. Our association of the Disney brand with carefree, childhood hours spent watching the Sunday morning cartoons automatically makes it a place we treasure. Disney movies, however sappy, have a way of resonating with audiences across age barriers. However, that’s only part of the story. The majority of the charm that Disney Parks hold, lies in the masterful marketing strategies that Disney has developed and mastered into a fine art, over the years. If there’s one brand that I would want to learn marketing from, it’d be Disney. It’s happy, it’s aspirational, it’s addictive and most importantly, profitable. Instead of gushing on and on about Disney and their spectacular marketing, I think it’ll be more interesting to reconfigure my understanding of Disney’s magic to the e-commerce domain. So, here goes! While designing their e-commerce sites, most entrepreneurs zero in on a template that suits them best and then replicate the template across webpages all across the site. The trouble with this cookie cutter approach is that we often overlook little things that make all the difference between good and great user experience. Take Disney’s parks for example. The management goes to extraordinary lengths to manage every tiny detail of their sprawling theme parks and resorts. ‘Hidden Mickeys’ that pop up around the theme parks and resorts is something every true Disney fan-boy tries to unearth. There’s even a whole website dedicated to unearthing hidden Mickeys! 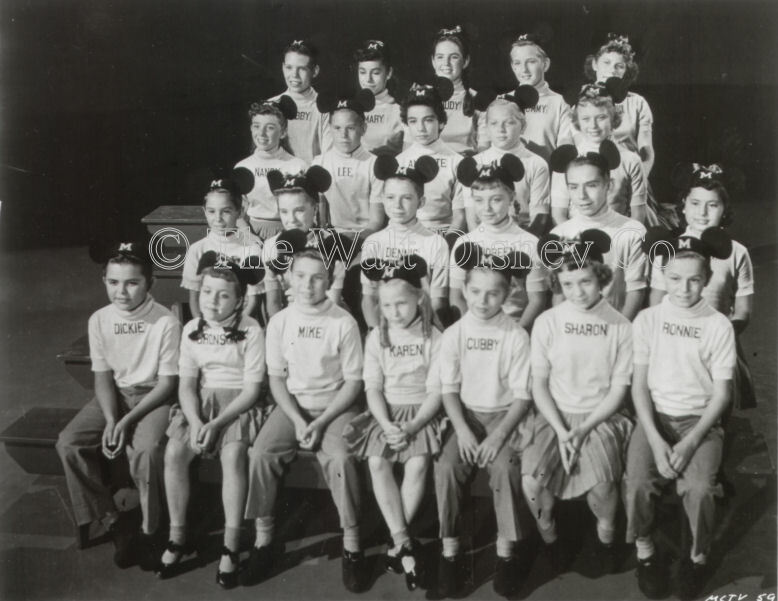 Chuck Rylant recalls noticing Mickey Mouse ears at the unlikeliest of places all over the Disney Resort he and his family stayed at. From bathroom faucet handles to lamps to the top of the shampoo bottles in their hotel room, everything was shaped like Mickey ears. 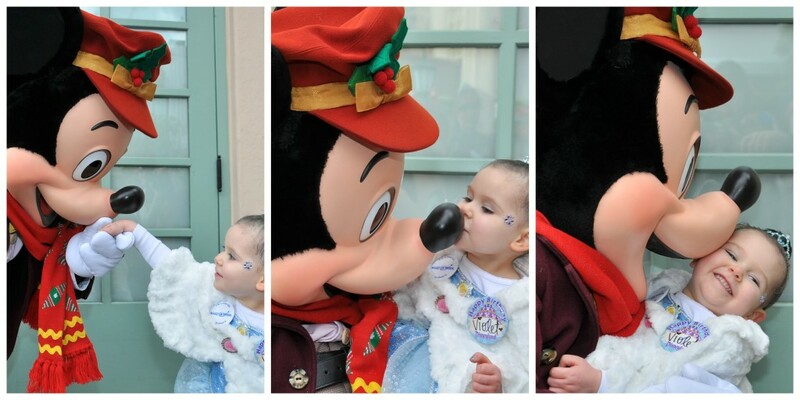 Takeaway: Mickey Mouse is the very heart of Disney and its theme parks. It’s their most identifiable icon and they get the maximum mileage out of it. Do the same with your e-commerce site. Pick an icon or a signature theme that can be used or adapted in different ways across your site. It doesn’t even have to be imagery. Use microcopy that amuses and helps out simultaneously in your web forms or your tool tips to make the experience of navigating your site and completing a purchase a tad easier and a lot more entertaining. If you had to use pure logic to plan a wedding you probably would not opt to throw a lavish party for hundreds of people you barely know and spend thousands of your hard earned money on one-time things like a fancy suite or a designer wedding dress. But you go ahead and do it because you’re swept away in the emotion of it all. Ditto with Disney’s theme parks. The average cost of four member family vacation to any of Disney’s theme parks can pay for a small car. But you still go ahead and do it, because Disney convinces you that you’re going to have the best time of your lives on this trip. Disney taps into this wellspring of nostalgia, happiness and voila, you fork over ridiculous amounts of money to go to a theme park. Emotions win over rational thought. Takeaway: Your e-commerce site may not have the huge emotional equity that Disney already enjoys with its target audience, but you definitely have the advantage of knowing that tapping into your users’ emotions will get you to their wallets. If your audience is eco-conscious, you’re assured of an emotional connection by offering eco-friendly packaging material for shipping their purchases even at a slight premium. Appeal to the right emotion for the right target audience. When you strike the right emotional chord, your cash register will make some very pretty music! How frustrating is it when your sliced bread simply refuses to fit into your toaster’s standard sized slot, right when you’re in a tearing hurry to get to work. After a few vile curses to the bakery that decided to get ‘creative’ with the thickness of their bread, you vow to switch to a brand that makes standard sized bread loaves to save yourself future agony. That’s just a small example of what happens when consistency is thrown to the winds. In spite of all our claims to individuality and uniqueness, consistency in everyday things keeps us grounded and soothes our way through life. This is an area Disney truly excels at. From the costumes its cast members wear in the theme parks to the way each cast member stays completely in character even when doing something mundane like giving directions to the way the exact same experience gets served to a completely new set of over-excited guests to even the clockwork precision with which long queues form at every ride without fail (! ), consistency is a lesson that Disney lives breathes every single moment. Takeaway: We discussed earlier about how once the design and layout of a site is fixed, very little changes. However simply carrying forward the same look for all your webpages is not enough. A great e-commerce experience extends beyond your website alone. Every moment-of-truth that your brand has with the customer can be made consistent with your overall brand guidelines and personality. From your order confirmation email that carries forward your website’s design aesthetics to packaging material that bears a throwback to your site to a customer care representative who greets users with your signature welcome line to your social media voice that amplifies your brand personality; each step should reflect the same look and feel for that true ‘wow’ factor. One of the most common pictures that any family album from a trip to Disneyland is a picture with Mickey, Minnie or any of the hundreds of cast members dotting the park. 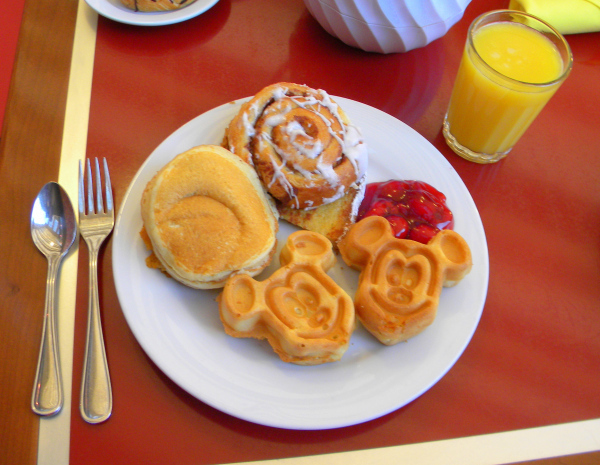 There are even special events at many Disney parks where guests can pay to have share a meal with Mickey and gang. 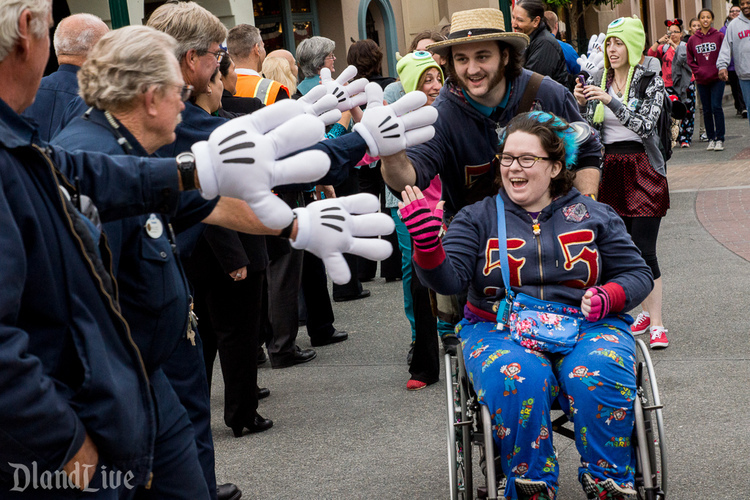 While you may have to wait for hours in queue for your favorite ride, most days your request for a quick handshake, hug or even photo-op with a cast member is fulfilled instantly. This simple fact reflects the extent to which Disney emphasizes the human touch in their parks. The frustration of waiting forever for a ride simply evaporates when Snow White plants a big kiss on your toddler’s cheek and poses with her for a once in a lifetime picture. These personal touches don’t end at the park gates. When you walk into a reservation at Disney’s resorts, the staff doesn’t need an introduction from you. They already know who you are and where you’re coming from. Chances are, you’ll even get a personalized greeting complete with your name as you first walk in the doors. How’s that for human touch? After service like that, you’ll be spoilt for every non-Disney hotel you’ll book for the next decade at least. Takeaway: Just because your customers can’t see your face but only your website doesn’t stop you from adding human touches to your site. Offer a personalized greeting when a signed in customer arrives on your site to instantly offer an element of surprise and happiness. 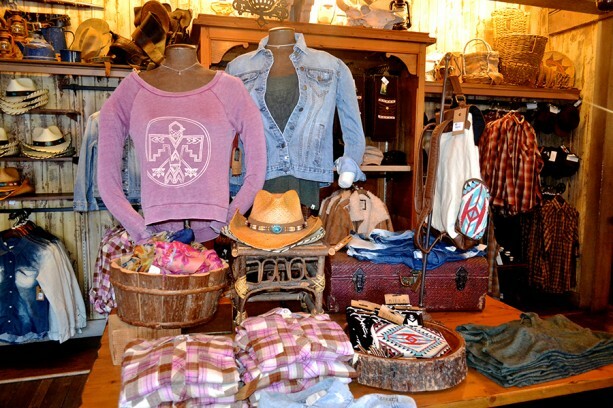 Show returning customers items similar to what they browsed for last or items complementary to items they bought last. This tells users that you remember them as people and not just as credit card numbers. Another easy way to extend that human touch is to offer live chat support when a user dawdles for too long on a product page or in the middle of the checkout process. Most e-commerce sites are simply thankful that the customer finally completed their checkout process and finally bought something, instead of simply window shopping. The thought of complicating matters by trying to get the customer to buy a more expensive version of their chosen product or even pushing them into buying accessories and other paraphernalia for the product that they just bought can be rather daunting. But trust Disney parks to be right on the money when it comes to upsell and cross-sell. Book a trip to a Disney park online and you’ll soon enough start getting emails nudging you to upgrade to better tickets that will help you jump the queue at rides, book a nicer hotel room at the resort attached to the theme park and so on. The price you pay for the entry into Mickey Mouse’s kingdom is just the tip of the iceberg. Once you walk through those gates, there are stores selling little (mostly useless) trinkets and movie merchandise at every step. At the end of every ride, you literally walk through a toy store themed around the ride you just took. How any parent gets out of these without buying something for their nagging kids is a miracle to me. Takeaway: One of the most under-done, yet most easily doable activity on e-commerce sites is upselling items to a customer who’s already buying a particular item. If Disney’s upsell and cross sell strategies don’t impress you enough, I’m sure e-commerce behemoth Amazon’s attempts will be more up your alley. Not only do they immediately offer a complementary item on the product page itself, they also offer more items similar to the one being viewed on the product page. The thank you page often carries a cross-sell message prompting viewers to buy complementary items and so on. It doesn’t end with the purchase. Even after you buy an item, you’ll get emails from Amazon reminding you of exclusive deals on the products that are similar to what you bought last. I began this post by trying to derive insights from Disney’s masterful marketing to apply them to an e-commerce setting. I also resolved that I’d stop gushing like a Disney fan-boy. However, by the end of this post, you’ve probably realized that fan-boys can be recognized from a mile away and I’m definitely guilty as charged. If only I could transpose those Disney marketing smarts to my business and I’d be a happy camper!